What’s this? HSBC Bank covertly funding the Conservative Party? Can anyone smell a scandal? Yet again, the Electoral Commission is being asked to investigate the Conservative Party. 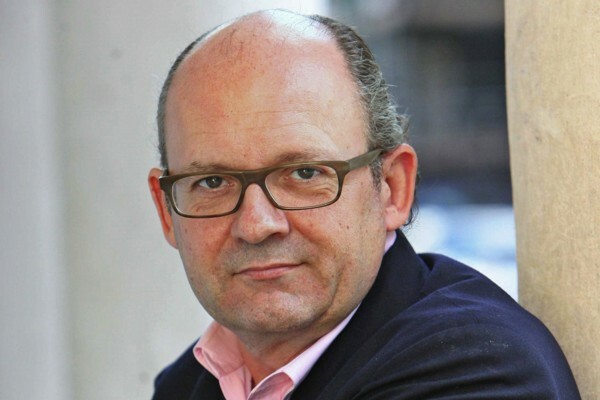 This time, questions are being asked about more than £5 million, out of a £200 million loan by HSBC Bank to IPGL – a struggling firm owned by then-Conservative Party treasurer (and now chair of the Conservative Party Foundation*), Michael Spencer. IPGL was said to be in considerable financial distress when the loan was made in October 2008, but after HSBC’s Annual General meeting it was revealed that more than £5 million of it was “laundered” directly to Conservative Party headquarters, according to a letter from SNP MP Roger Mullin to Claire Bassett, chief executive of party and election finance at the Electoral Commission. The fact that this money was in Conservative hands in the run-up to the 2010 General Election is of serious concern – especially if it was not declared. 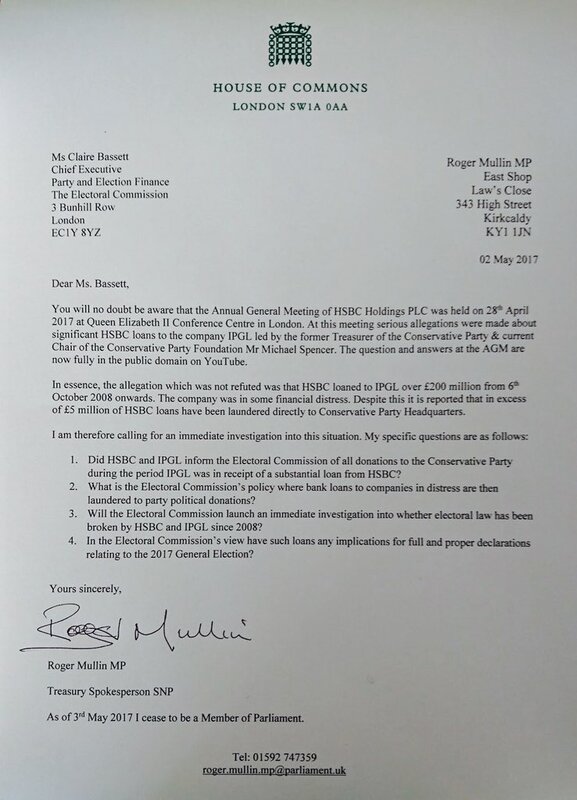 Did HSBC and IPGL inform the Electoral Commission of all donations to the Conservative Party during the period of the loan? What is the Electoral Commission’s policy where bank loans to companies in distress are then laundered to political parties? Will any such loans have implications for the full and proper declaration of donations relating to the 2017 general election? Should we also be concerned that Mr Spencer’s company ICAP was a part of the Libor scandal? Or that Mr Spencer’s donations to the Conservative Party appear to have secured him at least one private dinner with then-prime minister David Cameron? What did they discuss? Or that the Conservative Party resisted calls to return £4.6m of donations ICAP and Mr Spencer made during the period of the Libor Scandal when Spencer was also Treasurer of the Party (that’s between 2006 and 2010 – exactly when the IPGL “laundered” donations would have been made)? Or that Mr Spencer made more than £200 million from selling his stake in TP ICAP (same company but split up due to sell-offs) after the company’s share price benefited from the market turbulence caused by the Brexit vote and Donald Trump’s victory in the US presidential election? Hmm… £4.6 million is very close to £5 million… And £200 million is exactly the same as £200 million… Aren’t these numbers interesting? 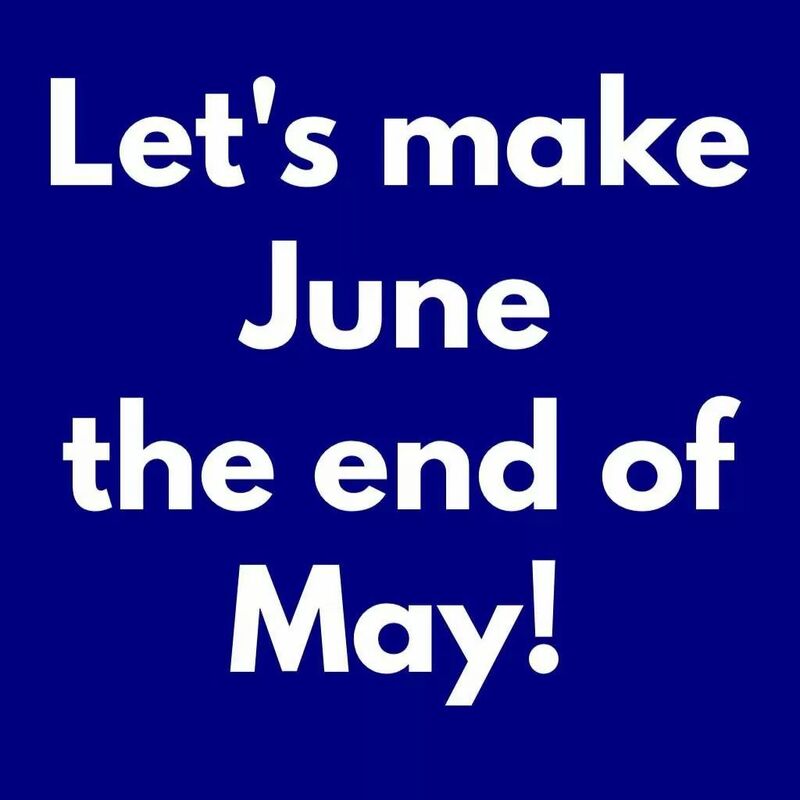 And of course we’re told the Cabinet Office has launched an investigation into whether Theresa May’s husband Philip (and therefore, by marriage, Mrs May herself) corruptly profited from Brexit market movements caused by his wife’s decisions – choices about which he could have known. Mrs May was criticised last December for planning to use taxpayers’ money to exempt her husband – along with other people who work in the City – from Brexit. Was Mr Spencer one of those people and did it ever happen? Oh, and hey – what about HSBC? Remember when the bank was found to have helped thousands of wealthy clients to evade hundreds of millions of pounds worth of tax? The man in charge of the bank at the time – both of the donation to IPGL and the wholesale tax avoidance – was Stephen Green, who only gave up the chair – in December 2010 – in order to become a Conservative peer and minister of state for trade and investment in January 2011. This seems a particularly tangled web – but it seems clear that Tories are at the centre of it. Let us hope the Electoral Commission has the ability – and the courage – to untangle it. *A charity established to strengthen the financial future of the Conservative Party. As you rightly comment Mike “Let us hope the Electoral Commission has the ability – and the courage – to untangle it.” These possible vagaries must be investigated and the outcome made clear to the electorate before it is possible to vote for any party with such serious alleged misconduct overshadowing any confidence. Great article, hope all these new allegations get reported in mainstream media. Everything suggests to me that Tory arrogance, greed, nepotism and cronyism have grown to such high levels that they now consider that anything and everything is justified so that they can get into power. Once in power their sole purpose is to sell or even give everything in UK to their new chums in big business (mostly foreign), then the chums open revolving door career opportunities for the Tories once their brief political careers have served their purpose. Due to this supreme self-interest and arrogance, it is only too easy to believe all the new rumours and evidence circulating at present. Wow! This latest example of Tory fraud and corruption needs to be given maximum publicity. Without a doubt the words “Tory” – “Fraud” and “Corruption” are synonymous. Hmmm now what is that foul stench I can smell……has a whiff of corruption and skullduggery…..surely not? Not those nice Tory people surely? They are the friends of the people they would not associate themselves with self greed and corruption and cheating election funds. Come on now pull yourself together making it sound like another Co-op scandal.